I have an irrational and uncontrollable addiction to cheese. 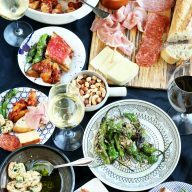 So there is this restaurant, The Cheeky Monk, and going there for me is a big treat. I tend to get the same thing every time because, well, it’s that damn good. Mussels and fries… need I say more? 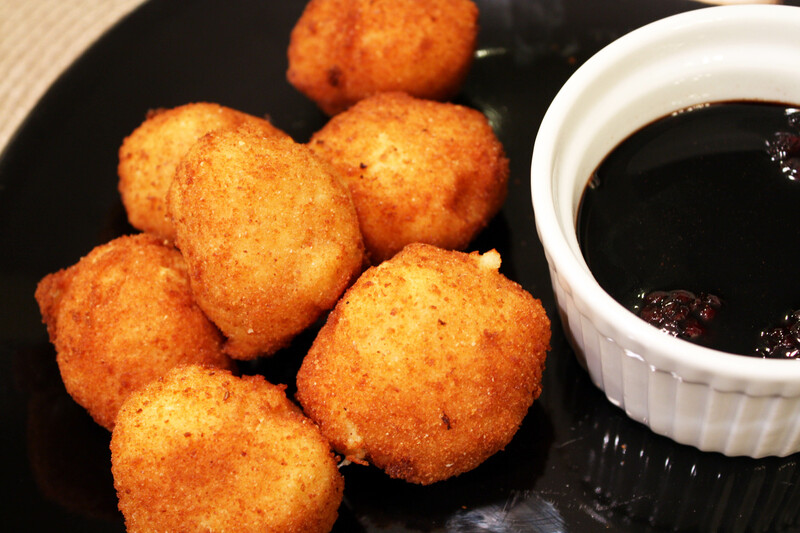 But the real star for me lately has been their cheese croquettes with a berry balsamic dipping sauce. HOLY CRAP. These things are soooooooooooooooooooooooo good. I have dreams about them, cheesy wonderful dreams full of rainbows and endless amounts of croquettes. I couldn’t take it anymore. I had to make some sort of replacement at home, for those nights when I am craving cheese but can’t bear the thought of actually leaving the house to get them. If the Cheeky Monk was as close to my house as the pizza place down the block, you better believe I would be there every single night. Now, these may not be the exact same thing as the ones at The Cheeky Monk, but WOW. They are still pretty damn delicious. 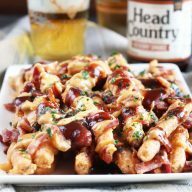 Cheesy and gooey and warm with the slightest crunch of fried awesomeness and the sweet tangy jolt you get from the dipping sauce…. Pair that with a massive glass of white wine and you will get a pretty good picture of my life. 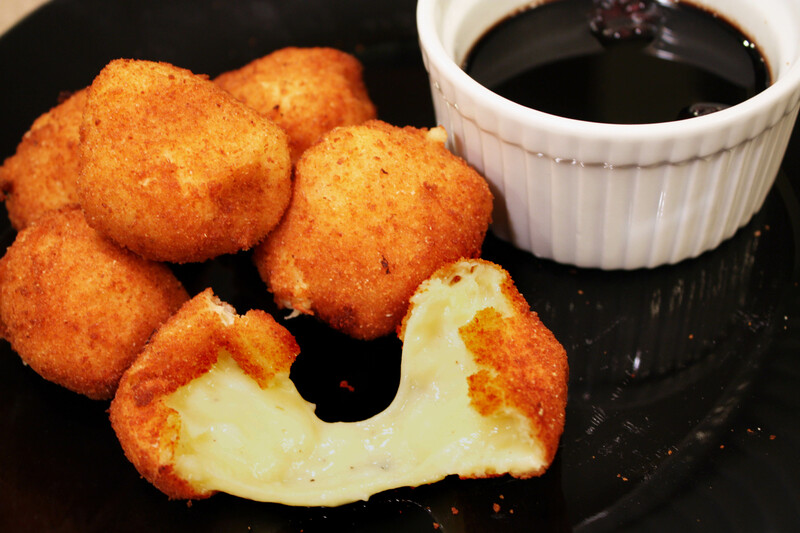 Essentially fried cheese with a sweet, berry sauce. YUM. In a medium saucepan over medium heat, melt butter. Stir in the flour until combined. Stir in milk, egg yolks, cheese and salt. Continue to cook until the cheese has melted. 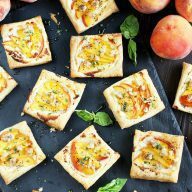 Pour the cheese mixture into a glass dish and chill overnight in the refrigerator. Shape the croquette balls with your hands. Set aside. In a small bowl beat together 1 egg and 1/4 cup milk. In another small bowl add the flour and in a third bowl add the breadcrumbs. In a heavy bottomed pan, heat approximately 3 to 4" of oil over medium-high heat. Roll the croquettes in the flour, then the egg and finally the crumbs to coat. Deep fry in oil until golden, about 2 to 3 minutes, and drain on paper towels. In a small saucepan, combine all ingredients for the sauce and bring to a boil. Reduce to a simmer and cook until the sauce has thickened. 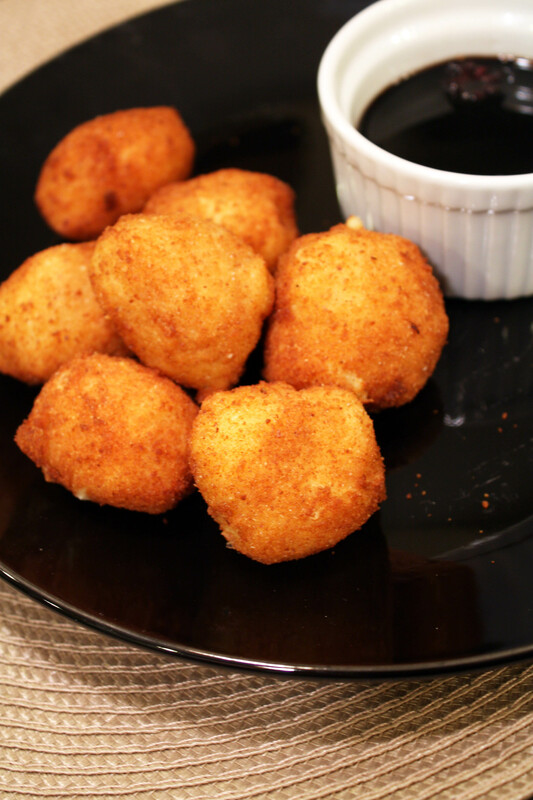 Serve with the croquettes as a dipping sauce.